We appreciate you taking the time to check into GCI! We know you want the best for your school and we have designed our School Pictures program to be user-friendly for school administrators. We try to see things from your perspective to make things both convenient and efficient. 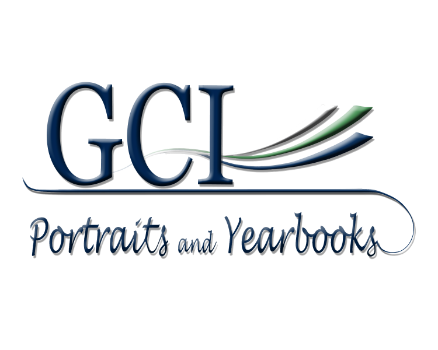 GCI strives to provide you the best service – from supply boxes that we deliver to you that are 100% ready to put in each teacher’s mailbox to the Greenscreen technology that maximizes the success of your Picture Day. All of our photographers and office staff have completed extensive training so they know our program and are prepared to serve our schools efficiently. We use studio quality equipment. Our Canon digital cameras and lenses are backed by industry leading technology. Our Greenscreen software program is exceptional, allowing us to insert backdrops and assemble data and images with streamlined efficiency. Our lab technician partners are experienced and eager to serve both us and our schools using cutting edge technology and work flow programs. We stay on schedule on Picture Day. We want to minimize your students’ time away from class, so we prepare ahead in order to focus on efficiently getting great photos. Our staff loves working with students! They really work to help students get photos they will be proud of for years to come. We provide excellent Customer Service to our schools and their students/ parents. We strive to take care of any issues in a professional and courteous way. We are an owner-operated company. The owner sets the quality standard and reviews every department of our company daily to ensure we are meeting that standard. There is no need to allocate staff or have parent volunteers to assist us. We feel it is our responsibility to completely handle Picture Day. We deliver Picture Day supplies that are already counted specifically for each teacher. Just place each teacher’s packet in their box and they will have everything they need. We hand deliver your photos, also organized by teacher. Photos can be easily damaged; by delivering them ourselves, we are sure they arrive quickly and in good condition. Local owners, local office, and local staff mean no subcontractors and no red tape! We offer a wide range of packages to meet any budget. We offer many customization options and specialty products. We have a wide variety of background choices - using Greenscreen - without affecting the speed of Picture Day or the ability to have a consistent yearbook backdrop. We handle Fall and Spring Picture Days as well as Friend Days, Graduations, Family Days, Clubs, Teams, and other special events. We honestly want to do what it takes to meet or exceed our school’s expectations. By continually asking for feedback, we can be sure you are getting what you need from us. Over the years we have tweaked our program based on feedback, so we all benefit by maintaining good communication. We offer parents a 100% Satisfaction Guarantee. They can return pictures for a full refund with no questions asked. What schools are saying about GCI! “GCI is a pleasure to work with – very attentive to our needs and makes Picture Day and any follow up smooth and easy.” Sope Creek Elementary Assistant Principal. Thank you again for taking the time to see what GCI has to offer you and your school. Please call GCI today for more information. You can reach our office at 770-428-3717.